OH I'm late with this post!!! Time has gotten away from me and I was a day behind myself. 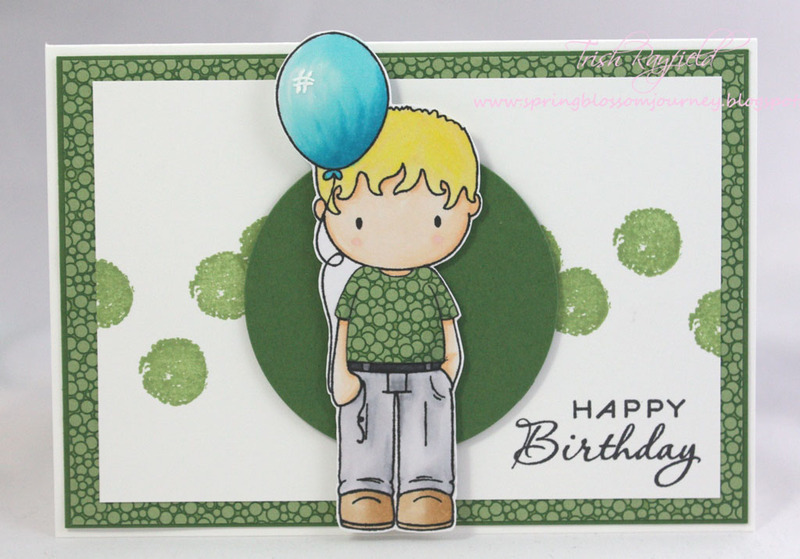 Well onto why we are here - SKETCH challenge time at Just Add Ink. I haven't had much time this week to get into the craft room but I really felt like using my copics and colouring in an image. I haven't used my copics in such a long time and I'm pretty happy with the out come of this little guy except his hair.... I just couldn't get the colour gradient I was after and it looks even worse in this picture!!! Normally I'd have a little close up picture of my card but for some reason I can't seem to get any more pictures off my camera.... I'll have to look into it and find out what's going on!!!!!! I really hope you get some time to get crafty this week and join in the challenge with us!! What a little cutie!! Why do they look so cute even though they don't have a mouth or a nose?? 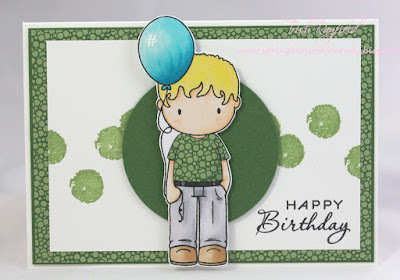 He's adorable and love the colours you used on this card. Gorgeous! !